The Community Players of Hobbs: Tickets are on sale for "Oil's Well That Ends Well"! 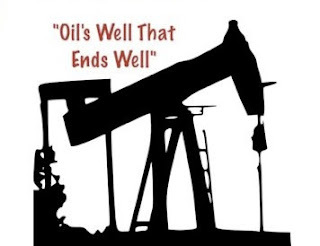 Tickets are on sale for "Oil's Well That Ends Well"! Tickets are now on sale for "Rascality on the Rigs" or "Oil's Well That Ends Well", the hilarious melodrama directed by Glynese Floyd. 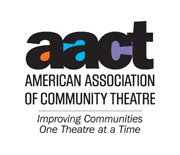 Click here for our online box office! And we have a special seating treat in store for you this time! We have three sections (LL, RR, and FLOOR) that feature tables...four seats to a table, and you will be provided table-side service (popcorn, drinks) in these sections. These seats are $15 each, and in addition to table-side service they will get you up close to the action on stage! Sections L, C, and R will be regular seats (no tables, no catered service), and are $10 each. NOTE: No alcoholic beverages will be sold at this performance. "Oil's Well That Ends Well" shows on September 21st, 22nd, 27th, 28th, 29th (8 PM), 23rd (2 PM). Don't miss a hilarious night of good ol' oilfield comedy!